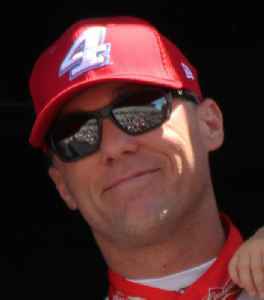 Kevin Michael Harvick, nicknamed "The Closer”, “The Bridesmaid”, and “Happy Harvick,” is an American professional stock car racing driver. He currently competes full-time in the Monster Energy NASCAR Cup Series, driving the No. 4 Ford Mustang for Stewart-Haas Racing. Harvick is the former owner of Kevin Harvick Incorporated, a race team that fielded cars in the Xfinity and Camping World Truck Series between 2004 and 2011. He is the 2014 NASCAR Sprint Cup Series champion and a two-time Xfinity Series champion. Harvick holds the all-time record for Cup Series wins at Phoenix International Raceway with nine wins. 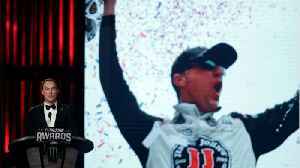 Harvick is also the third winningest driver in Xfinity Series history with 47 wins.